Down by the River Ganga, chants echo out over to the sand flats on the other side. 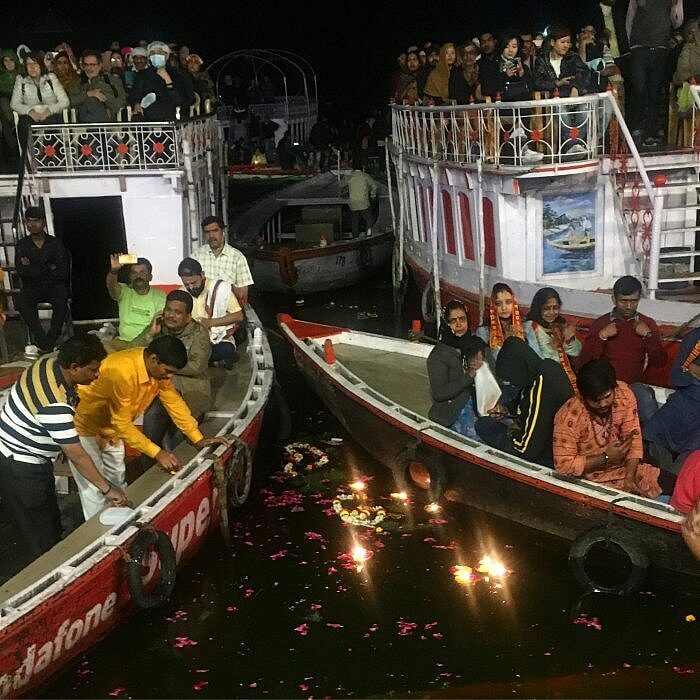 Boats ride up and down India’s holiest river, some dock to the songs of Hari Krishna, while tourists snap photos from others. Then there are the small rowboats that float along the river taking passengers for around 100 rupees a trip. The first day we arrived in Varanasi, the ghats were shrouded in fog. 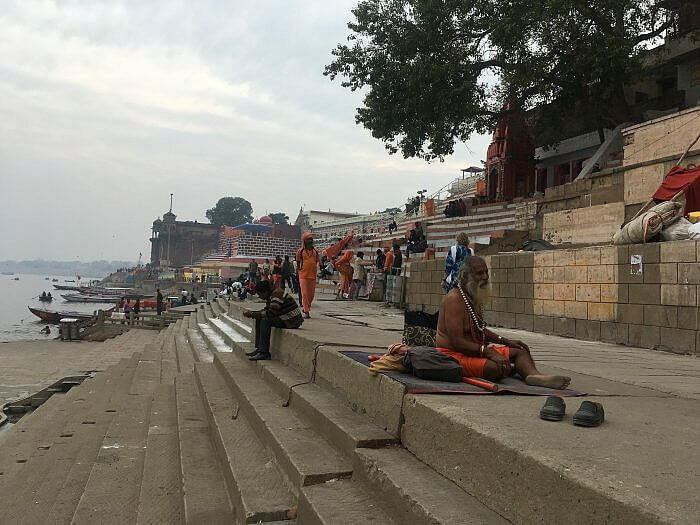 We scaled the stairs and walkways connecting the ghats, strolling past sadhus, Hindu holy men, some clad in saffron robes and others naked except for the ashes of the dead. Many say that you shouldn’t make Varanasi your first destination in India: That it’s a city that’s overwhelming and an assault on the sense. Perhaps I had spent enough time in India, but I found Varanasi a place you could reflect and watch the world go by, where the only intensity was found on its clogged main roads where it’s every man, car, and rickshaw for himself. 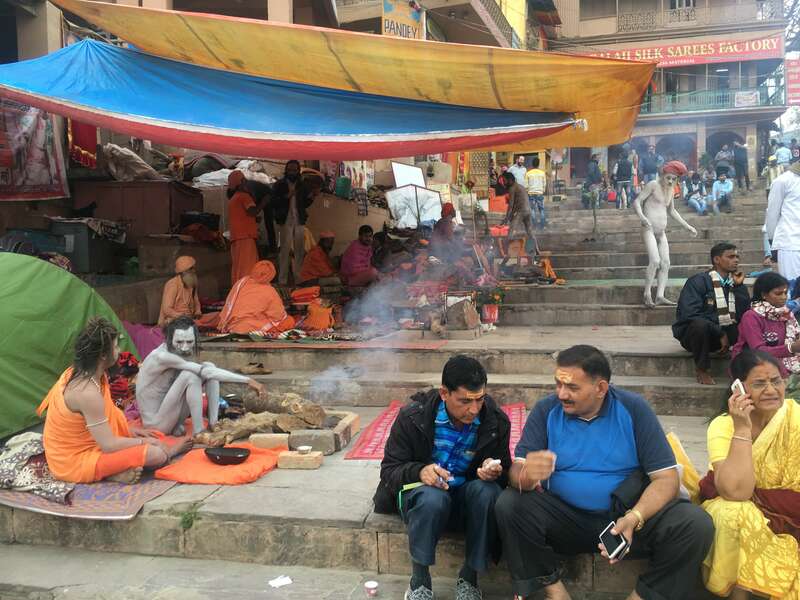 Varanasi splits into three sections. The outer layer is a hub of busy roads and shops, and one I preferred not to cross unless there was no other choice. The middle layer is a labyrinth of old lanes that twist and turn into cul-de-sacs and stairways leading down to the ghat. A shop, a street food vendor, or a shrine occupy each niche. 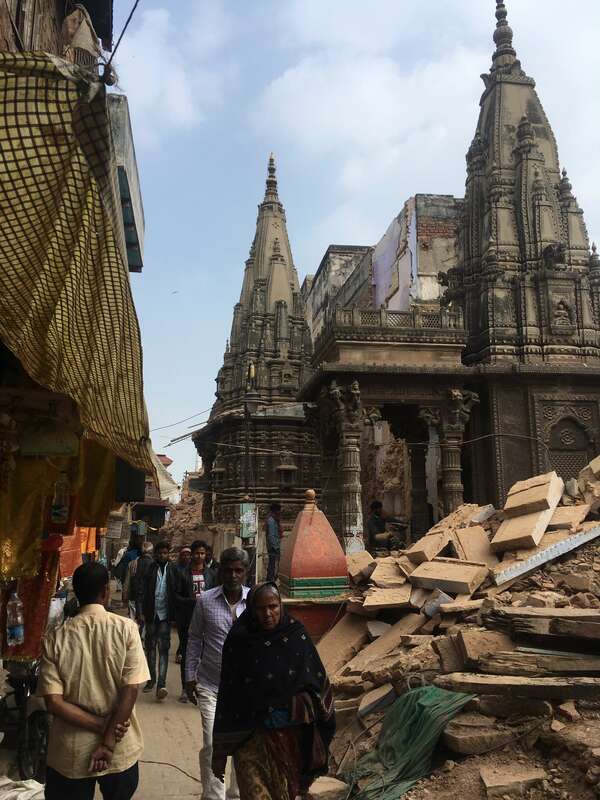 The buildings flaking in mostly shades of blue, green, and brown, rise five stories high and provide a permanent refuge from the hot south Asian sun in the shady the alleys. 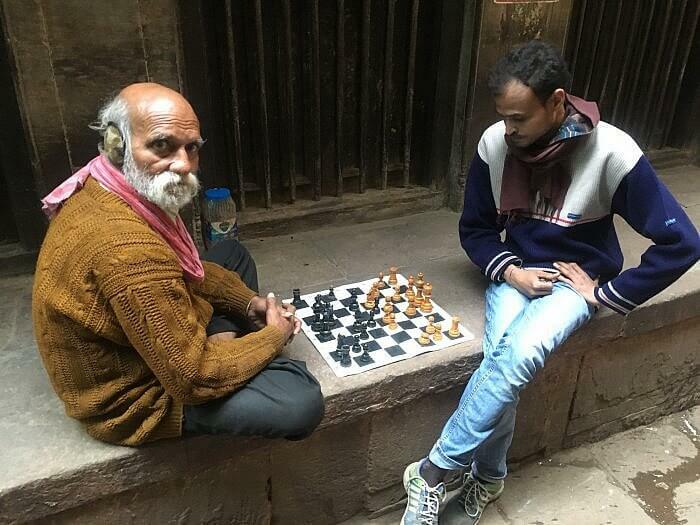 Men sit by the streets and play chess, and others chew paan, a beetle leaf filled with dried fruit and sometimes chewing tobacco. Things are quieter here, except for the odd motorbike whizzing past and the jingling bells of a funeral procession that’s heading down to one of the two cremation ghats. Then there is the innermost layer, the ghats themselves, all 88 that spread north to south hugging the banks of the Ganga River. The pious bathe in the water while women do their laundry and leave it to dry in the hot sun. Children play cricket or fly kites as the golden hour approaches; then as the sun sets the aromatic smoke from the incense performed at the Ganga Aarti spreads out into the night air. Tiny tealights float in the water among flower petals. 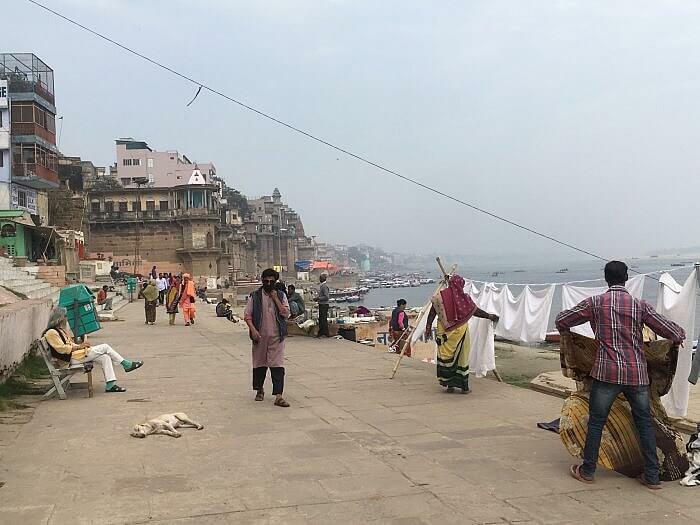 I wanted to come to Varanasi ever since I saw a photo essay of the city a few years back. It didn’t show the ghats or the usual clichés you’ll find about Varanasi, but rather the alleyways surrounding the river. 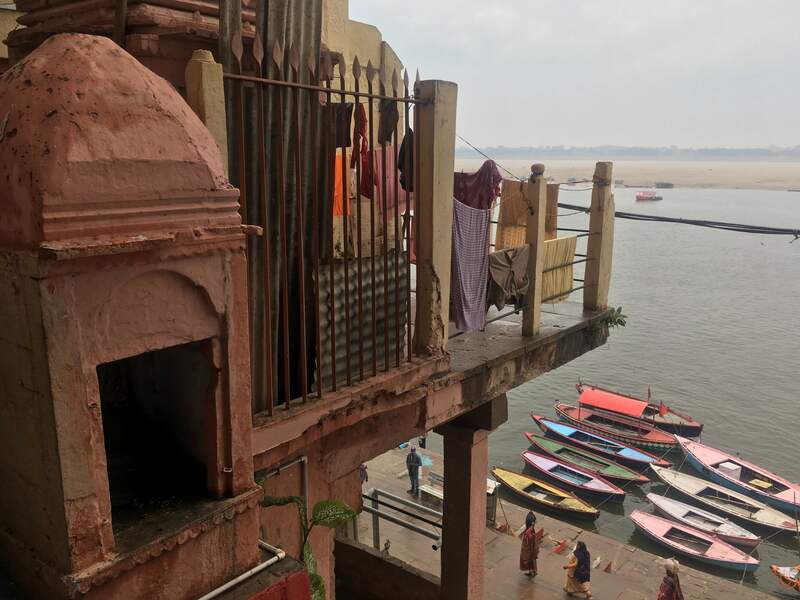 In places, it was unclear whether I was looking at a street or a building courtyard, but seeing it live, I realize that Varanasi is a communal city, where its hidden nooks and crannies are open doors to any who know of them. 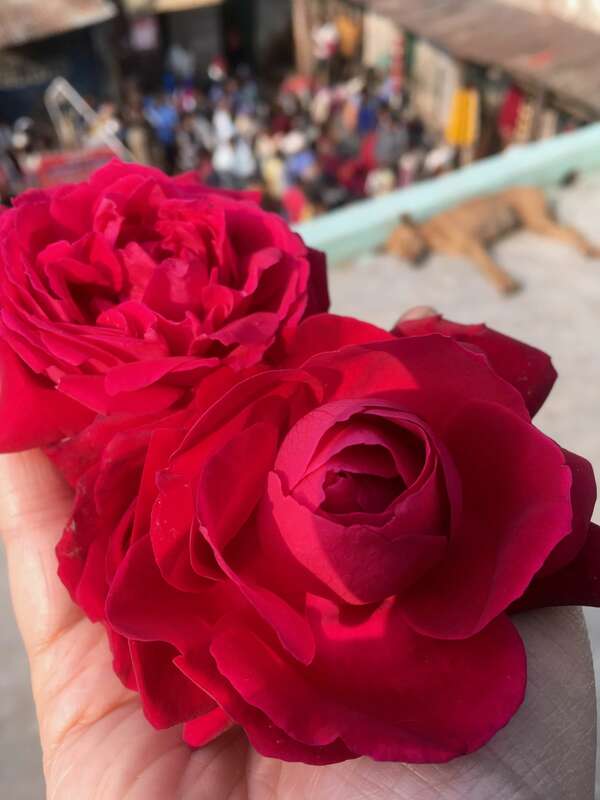 perfumed flower market, where we just strode the stairs up to the rooftop for an overhead view of the bags of marigolds and roses. Inside the old town, behind a vendor selling jellied mangos, an open door guided us through into a courtyard in a house once belonging to a famous writer. People told me four days in Varanasi would be enough, but I feel even a month, a year here would still leave stones unturned. But Varanasi hits you later. In the city you’re in the moment, drinking in every sight, sound, smell, and taste; the colors, the bells, the people, the food, and the incense masking the smell of cow dung, it’s a lot to process. Even back in the hotel, the rooftop terrace turns into a zoo where you are inside the cage, and the curious, kleptomaniac monkeys are the ones looking in from the outside. Mainly, when you are lying on the bed staring at the friezes on the ceiling after trying one of the “special” green lassis in the old city. 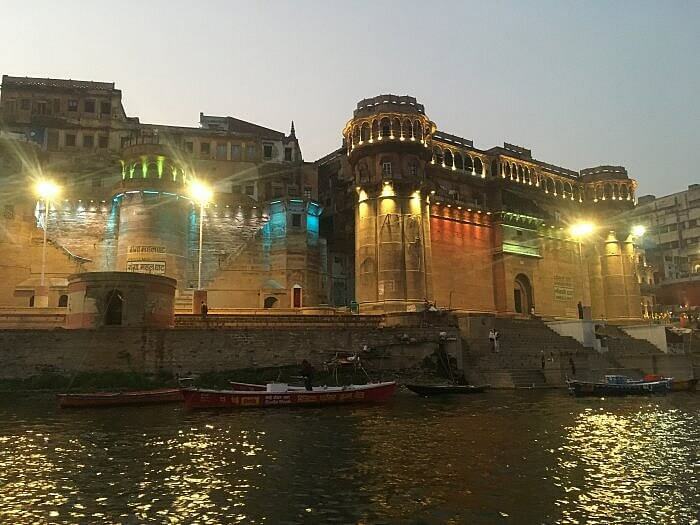 When I returned home, that’s when Varanasi made its emotional impact. dance about the pyres. Men dip bodies covered in shrouds for one last bath in the Ganga before piling them under wood and sandalwood chips as hungry dogs dig around the river for scraps and a cow pulls a garland off another body. Sitting in a boat, this very public display of death resembles a timeless painting. In the shadows of night, it could be any time – 100 years ago, 500 or more. 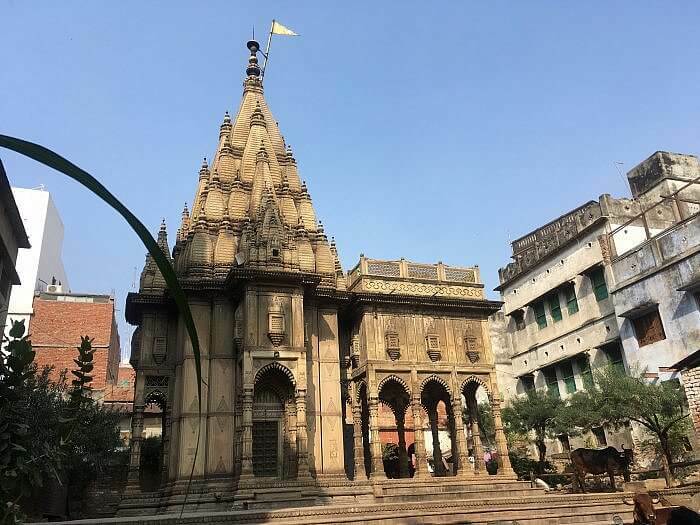 Varanasi is said to be the oldest living city in the world, and although it’s been torn down and rebuilt over time, it still feels ancient. You’ll find all the “mystical India” clichés in Varanasi, but more. It’s a place that lives up to the expectations but leaves you thinking about your own life and mortality. In a city where death is so public and in your face, you depart with a new appreciation for life. 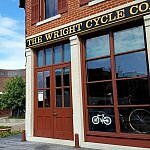 It’s a city that celebrates the cycle – birth, life, and death. Jennifer Walker is an Anglo-Hungarian writer Budapest, Hungary. After a sordid past involving a career in Nuclear Physics, and after completing her PhD, Jennifer threw caution - and physics - to the winds to follow the cliché expat writing dream. She's lived in the UK, Hungary, Spain, Germany, Georgia and India. She's passionate about making up stories, the arts, surrealism, underground culture, dilapidated art nouveau buildings, languages and travel. She has written travel pieces for BBC Travel, The Guardian, CNN Travel, Slate, Atlas Obscura, Tripadvisor, GOOD, Draft, among others. Follow her to unusual places on her travels or hidden places in Budapest on her blog Off the Bohemian Track or visit her website.